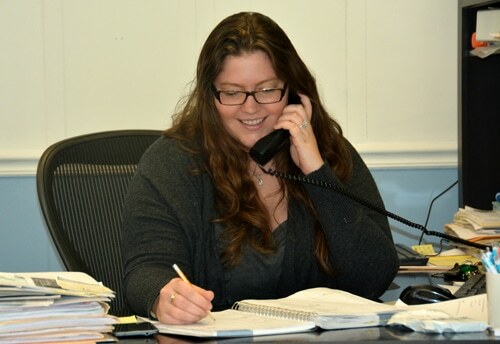 Katie – Working the phones to serve our drivers! Welcome to A Club Driving School online! Here you can find all the information you need about our school and we hope that you will email or call us with any questions you still have after visiting our site. Our driving school has been open since 1964, family owned and operated for the last 50 years. Our school is certified and approved by the New York State Department of Motor Vehicles. We offer driver training by qualified experts, insurance for both companies and the individual and DMV services. At A Club Driving School, our focus has always been on empowering each individual to accomplish their driving goals. We offer professional, high-quality, one-on-one automobile driver training. It is our goal to ensure that each student pass the road test the first time they take it. You can call or come by to make an appointment and find out more information. You can also look us up on Facebook, Google+ and more. Stay in touch through your tablet or smartphone while you’re on the go! To provide you with the skills needed to make informed driving decisions when it matters most. To provide an environment that makes it fun and easy to learn. To teach our students to be responsible, confident and in control of their vehicle whenever they are on the road. To make you the best driver you can possibly be.